Explicit Echoes is an emerging software development & design company based in small but lively city of Hyderabad, Pakistan. We provide services ranging from Web Application Development & Design for small businesses and Enterprises to Multimedia enriched projects. We have a team of very talented individuals covering wide areas of the today’s rapid technology growth. 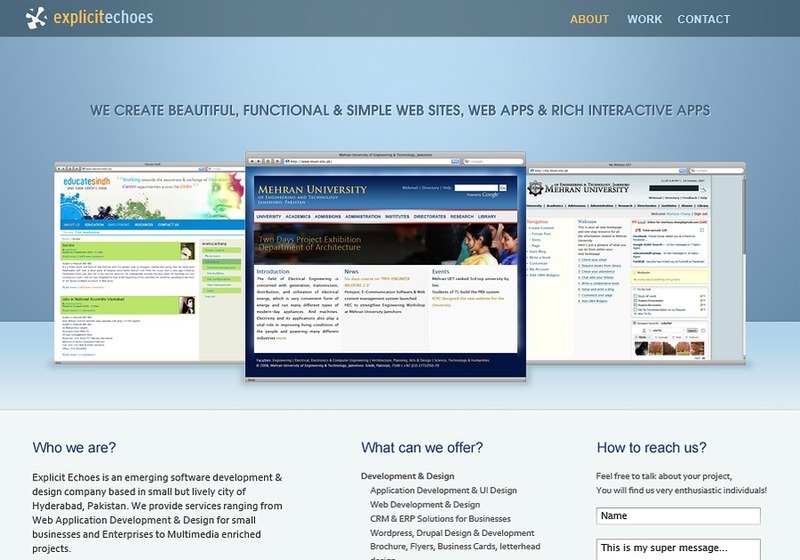 We specialize in web based software that has fewer configurations, simple to use and got stunning looks. We are very enthusiastic about the work we do and take great pride in it.